1. Preheat oven to 200c/400f line a baking sheet with parchment paper. 2. In a large bowl, combine half of the beated egg, pinch salt, ground black pepper, 1 tsp coriander and bread crumbs. 3. Add 1 tbsp of milk to the egg, beat and set aside. 4. 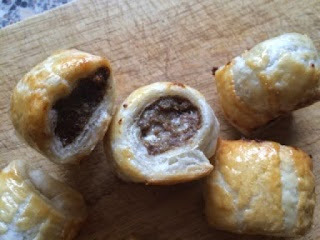 Roll the mince mixture into 5 sausage shapes, place on each sausage onto puff pastry roll and brush the ends with water. 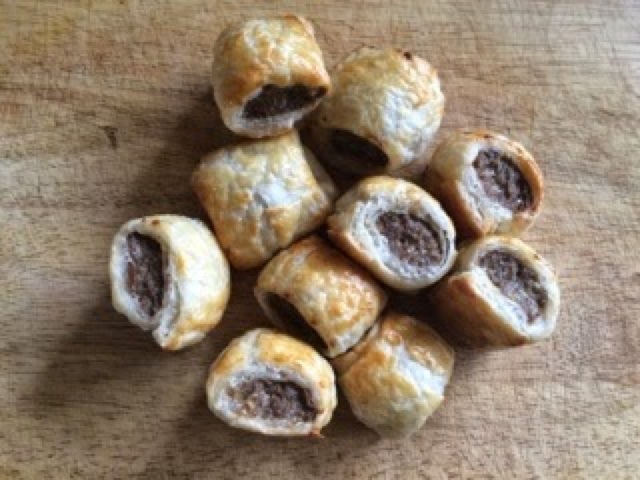 Cut into sizes you want and place onto baking sheet. 5. Brush with the egg mixture, place in preheated oven and bake 15-20 minutes until golden brown.